Bruce Nauman was born in 1941 in Fort Wayne, Indiana, and studied at the University of Wisconsin, Madison, and the University of California, Davis, where he received his MFA in 1966. Soon after graduating, his work gained the attention of Los Angeles gallerist Nicholas Wilder, earning him early exhibitions and recognition. 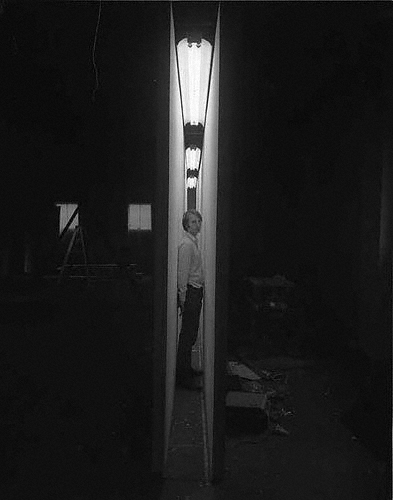 From the start of his career, Nauman approached art more as an activity than a finished product; in this respect, process, repetition, and failure have become components of his sculptures, installations, and videos. He was a pioneer of video art, combining monitors with closed-circuit spaces that confine and challenge the viewer.